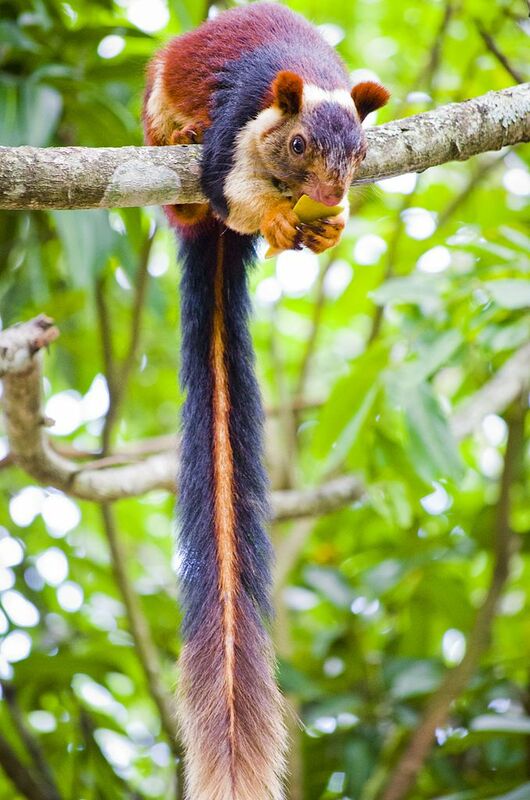 When squirrel expert John Koprowski first saw a Malabar giant squirrel, also known as an Indian giant squirrel, he couldn’t believe his eyes. 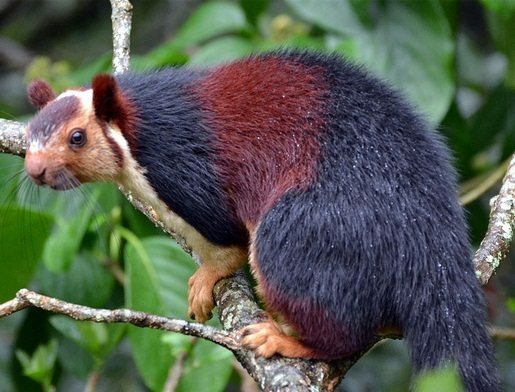 John was visiting India in 206 and first thought that the animal looked more like a primate than a squirrel due to its massive size. 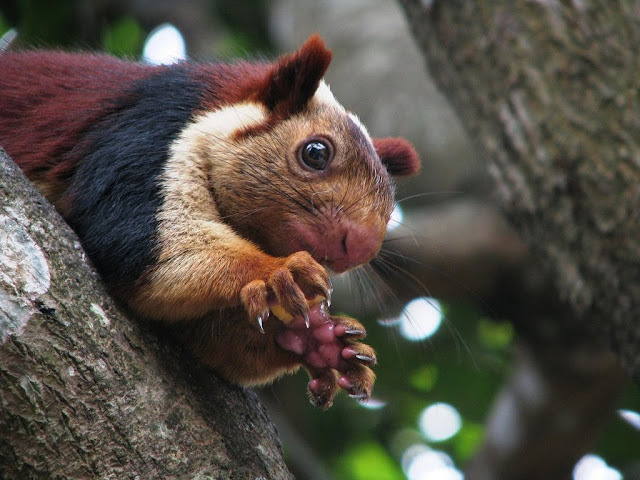 However, this giant animal was no primate – just a very, very large squirrel. 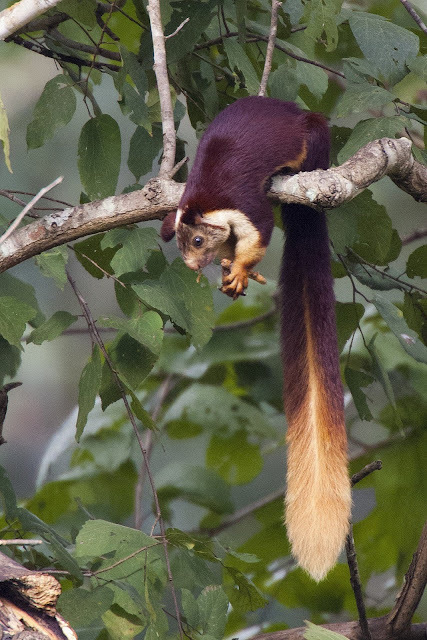 They are two times the size of an eastern grey squirrel and can be 36 inches long. Not only is the Malabar giant squirrel impressively large, but they have beautifully colored fur as well. 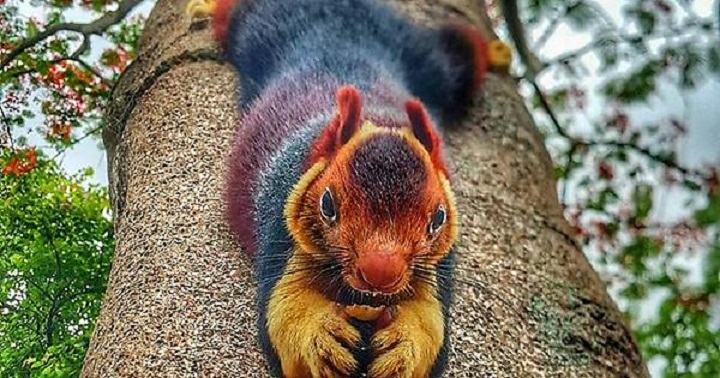 Their gorgeous fur coat can range in colors from black, orange, and brown to purple and maroon which is rare for a mammal. Colors like purples and maroon aren’t commonly seen in many mammal species.